We listen to your needs to achieveyour goals. 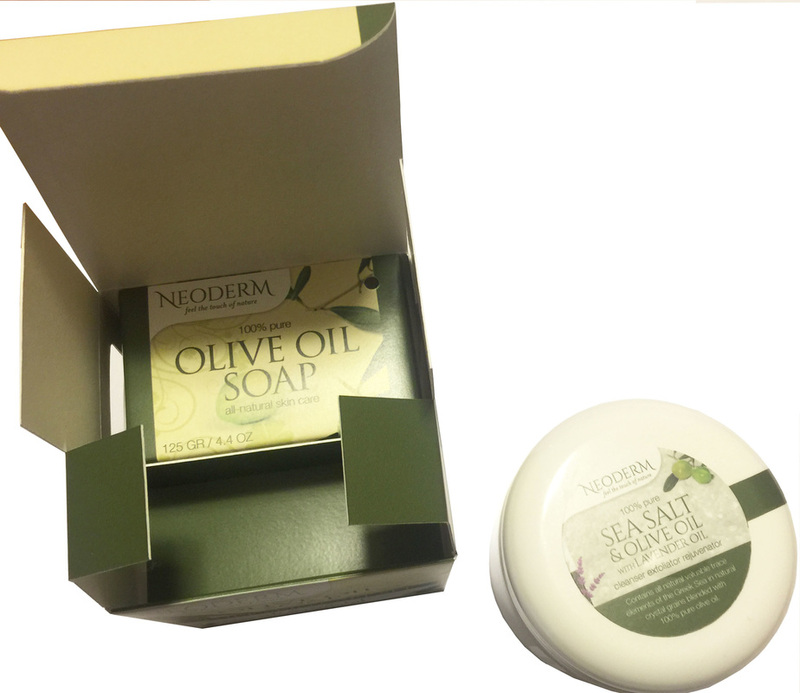 Challenge: Create a combination retail box that holds a round hand scrub jar and a rectangular bar soup in a square box. The box design must match the artwork. 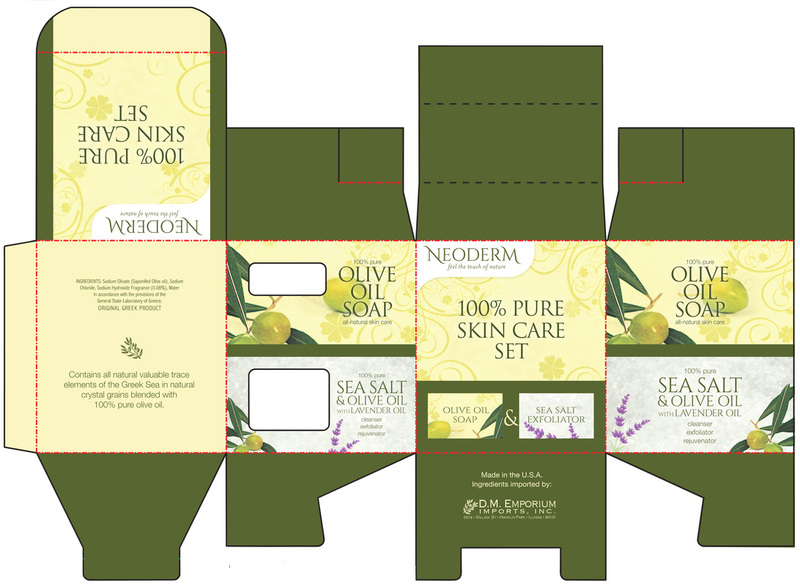 Solution: From an initial design, to prototyping a carton with side viewing openings and a platform separator, to producing a final product. 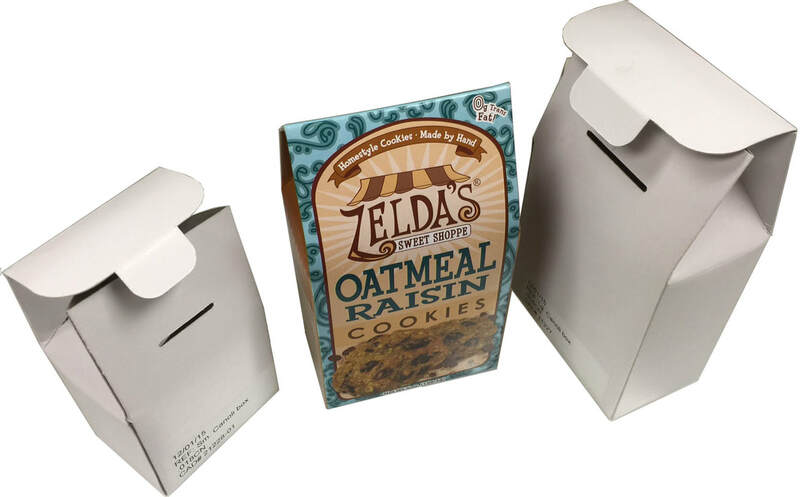 Challenge: Create a retail box that holds a sealed bag. The box design must have a resealable top. 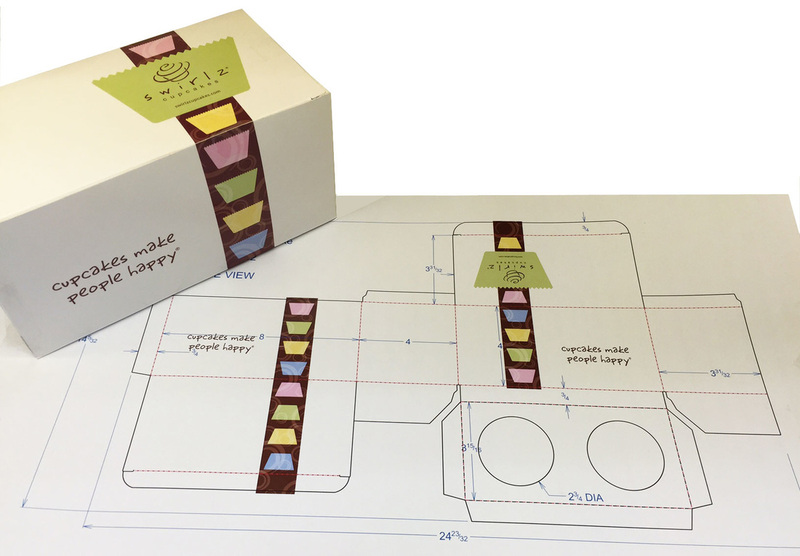 Solution: From an initial design, to prototyping a carton to fit shelf space, to producing a final product. Challenge: Create a open retail box that holds one bottle and two cups. Solution: Design, to prototyping a E-flute corrugated holder with a back support. The carrier and product is shrink-wrapped. 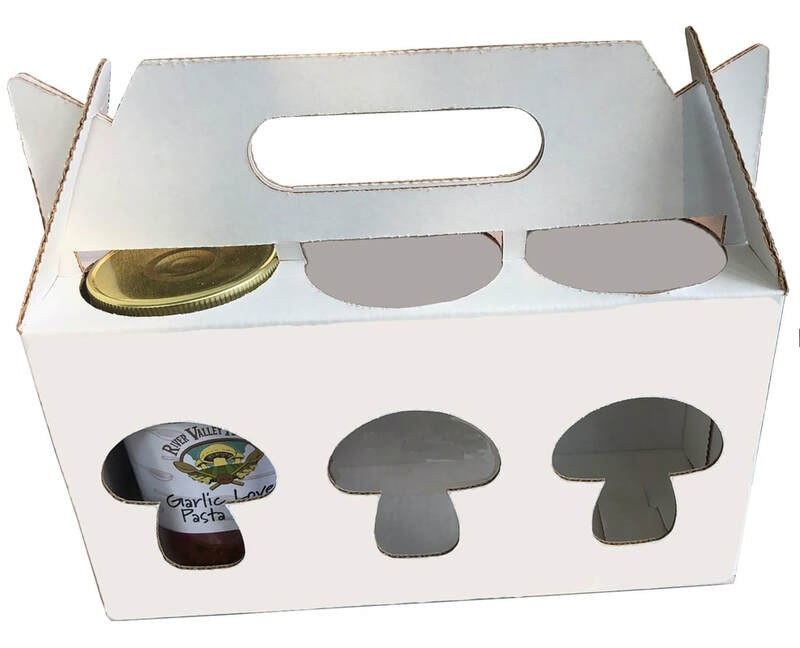 Challenge: Create a retail carrier display box that holds 3 mushroom sauce jars. Solution: Design a E-flute corrugated carrier with special mushroom shaped opening. The carrier provides the product to be viewed. Challenge: Create a corporate gift / retail box that holds a maple syrup glass bottle. 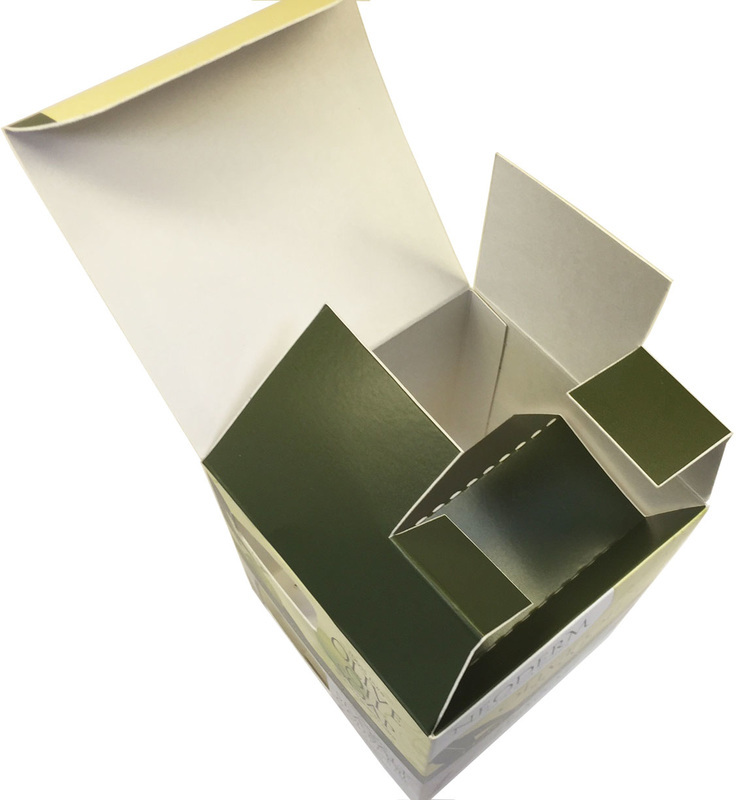 The box design highlights the etched bottle front and has a protective e-flute inner liner for shipping. 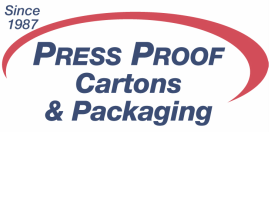 Solution: Produce an initial design to prototyping a carton with front view opening and cover door panel to producing a final product. 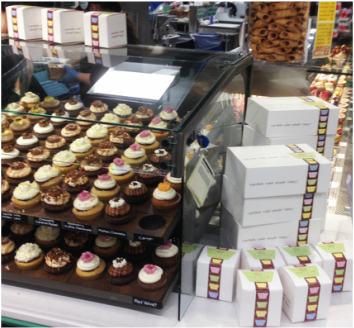 Challenge: Create a single and double retail bakery cupcake box reducing the cost, storage, waste and handling, eliminating two separate pieces (box and insert). Challenge: Create a claim shell label / wrap. 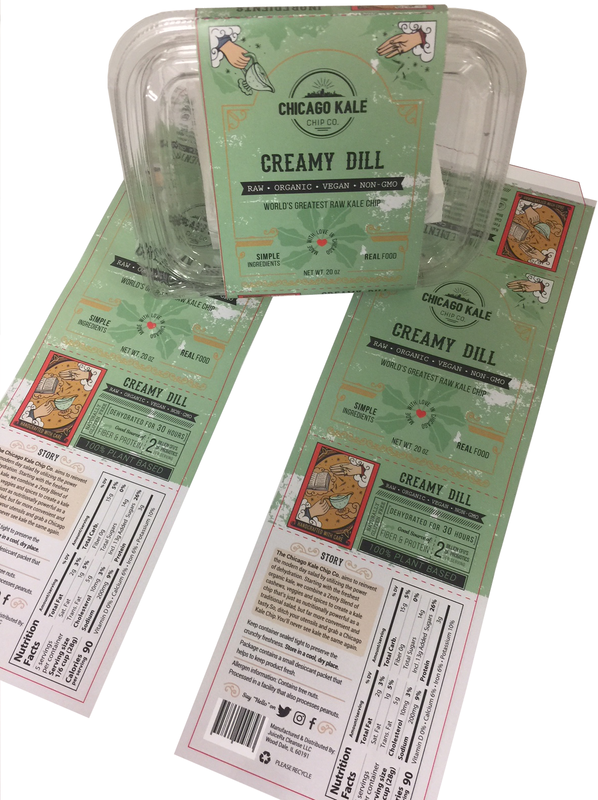 Solution: Design, to prototyping a paper label that holds itself in place. 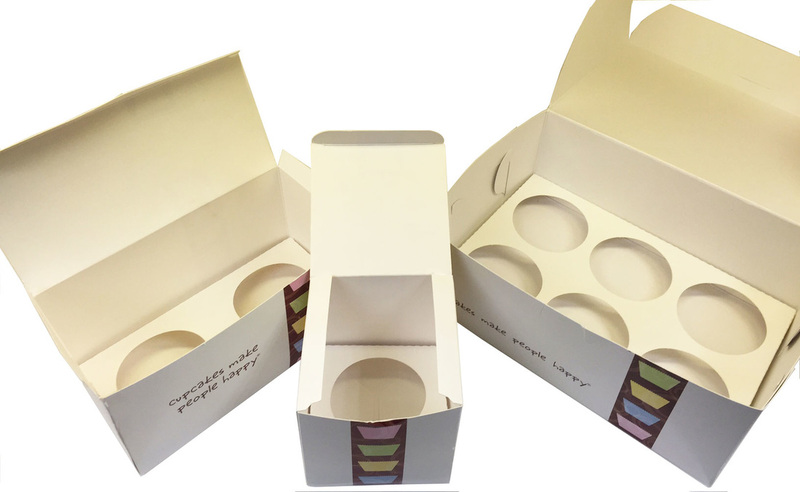 Digital print with a clear coating for focus group discussions and test markets. Litho offset printing for production runs.